Leasing is an increasingly popular way to finance a new car, with nearly a third of all new car purchases today being leases. But despite the amount of cars leased nearly doubling in the last five years, leasing remains shrouded in mystery for many consumers. This lack of information not only keeps many people who could potentially benefit from a lease from trying one, but also makes it difficult to get a good deal and avoid some of leasing’s potential pitfalls. In our many years of serving the automotive customer and helping them choose their new vehicle, there is one question that always pops up the most, and that is : “Should I lease or finance my next new car?”. Although this question is one of the most popular, the answer is never certain. In fact, the answer is ALWAYS “It depends!”. 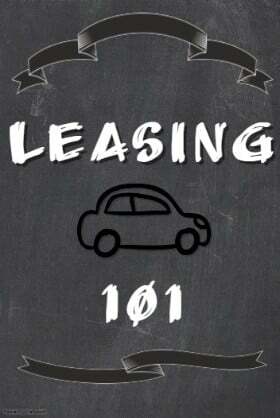 Fortunately, this guide is designed to provide you with all the information you need about leasing. It goes over how leasing works, both in general terms that make it easy to conceptualize and understand, as well as show you how leasing functions ‘under the hood’. You will even find out how lease payments are calculated. The guide will also help you determine whether leasing is right for you, as well as give you advice on how to get the best possible deal when leasing a vehicle. This guide is not designed to try to promote leasing or convince you that it is the best option, but once you are finished reading it, you should have all the tools you need to determine if a lease is the right form of auto financing for you. Statistics: How Popular is Leasing? 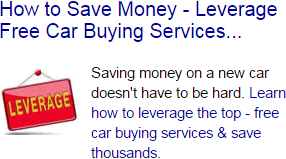 Leasing is a popular and fast-growing way to finance a new car purchase. As of 2016 (most recent data), approximately 31% of all new car sales in the United States were leases. 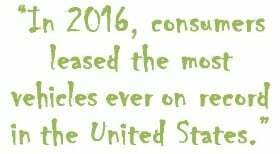 In fact, in 2016, consumers leased the most vehicles ever on record in the United States. This represents over 4 million cars leased in 2016 alone! Leasing has grown quickly in popularity, moving from nearly 15% of the market share in 2006 to the 31% of the new car market in 2016. Depending on the demographic group and the type of car purchased, leasing makes up an even larger share of the new cars that are being purchased by Americans. Luxury cars in particular are leased very often. More than half of new Audi, BMW, INFINITI and Lexus cars sold are leases, with many other luxury manufacturers like Mercedes-Benz and Jaguar leasing close to half of all of their new vehicles as well. These cars can often be very attractive to lease, thanks to their high list price and good residual value, which means that a lease can result in a much lower monthly payment than financing. Leases are also most common with younger and older buyers. People under 35 are the group most likely to lease their new car, closely followed by people over 75. People between 55 and 75, meanwhile, are the ones least likely to lease. Both groups tend to want both flexibility and low payments from their car purchases. A lease can offer both by having a term of only two to four years, as well as offering a monthly payment that is on average $120 per month less than a finance on the same car. So chances are, you know someone who has leased a car and has been happy with their experience. 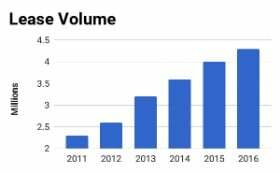 While auto industry analysts predict that leases will stabilize somewhere around the third of the car market over the next several years, that still amounts to a large portion of the auto market. With so many people choosing to lease rather than finance or buy outright their new cars, leasing must clearly offer some advantages. We will discuss those in the next section of this guide. 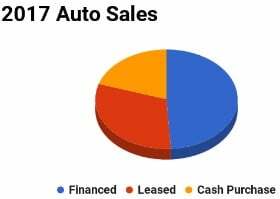 Auto manufacturers and dealers, or any other business for that matter, are always trying to beat a previous terms sales numbers. With auto sales at a peak right now, this is very hard to do, but, as it turns out, leasing is the easiest and most efficient way to accomplish this. So, for the foreseeable future, we can expect automakers to be pushing some very appealing lease deals. Most people have a general understanding of how a lease works. You get a car and make payments on it, often lower than those you would make when purchasing a similar new car, until the lease runs out in a few years, at which point you have to return the car to the dealership where you purchased it. While this covers the functional basics of how a lease works, it does not explain why a lease works the way it does. While a lease may seem like a complicated contract, there are several different ways to think about leases that can make leasing clear and easy to understand. Just like a car loan, a lease is a finance instrument - a way to get the money you need to purchase the car you want, in exchange for you doing something, such as making payments, in the future. However, unlike a finance, where your obligation consists primarily of just making payments, leases are slightly more complicated in what they require you to do. One easy way to think about a lease is to think of it as a variation of taking out a car loan. A common car buying strategy is to purchase a new car, drive it for a few years, and then trade it in, paying off the remaining car loan in the process, and then buy a new car and do it again. A lease simply combines both of those steps into one transaction. Since buying a car and selling it back are combined, you only need to make payments on the difference between the car’s initial and final price, which means a much lower monthly payment. It also serves to reduce the risk since the price at which you would have sold the car back is already pre-determined at the start of the lease and not affected by changing market conditions. Another good way to think of how leasing works is to consider how a car loses value to depreciation over time. At the start of the lease, you get a car that has not depreciated at all, while at the end of the lease you give back a car with two to four years of depreciation reducing its value. In that sense, the lease payments you make simply serve to pay down the depreciation that the car experiences as a result of you driving it. These are just two of the different ways to understand the seemingly complicated leasing contracts in a very easy way, as well as explain why leases offer such low payments. They also help explain why leases on different cars and even different trim levels of the same car can have very different terms and lease payments. When you lease a car, who is the owner? The answer may surprise you. Who are the three parties involved in a lease deal? Yes, three. What are the pros and cons of leasing? After reading, you will know if leasing is right for you. What are the common misunderstandings about leasing? You won’t believe the rumours and false information circulating around. 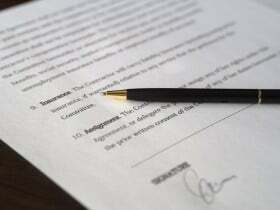 What are the important leasing terms you need to understand? We simplify these so you will know as much as, or more than the salesman when it’s time for the paperwork. What are the types of leases available? And which one you don’t want to get stuck with. Can I negotiate a lease deal? VERY Important info here. What are the questions I need to ask before signing? Searching out the hidden costs. What happens to the car after the lease is over? There may just be some options you didn’t know about. What if I need to get out of the lease early? Is this possible? What are the Dealer tricks I need to look out for?